June is always an active period for many sickle cell warriors and those involved in some kind of advocacy. This is because June 19th is World Sickle Cell Day, a day set aside to celebrate not a life of pain but to educate, sensitize and raise awareness of the populace worldwide on sickle cell diseases and what those who live with the condition experience plus what can be done to assist, to reduce the percentage of those born with sickle cell and to see how governments and other civil societies can better plan and come together to improve on the wellbeing of sickle cell warriors. 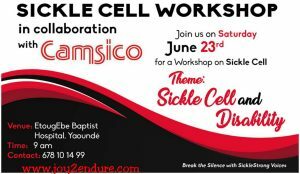 As part of my June awareness activities, a day is always set aside for a workshop focusing on one issue or the other which sickle cell warriors face. 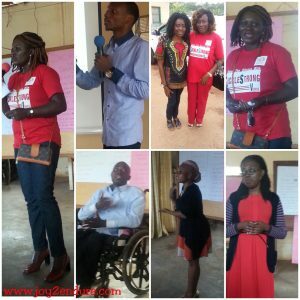 This year’s workshop theme was centred on disability. This is because Sickle Cell Disorder is a chronic disorder that may sometimes come with other lifelong complications that may result in disability as well. So, the theme was very timely. 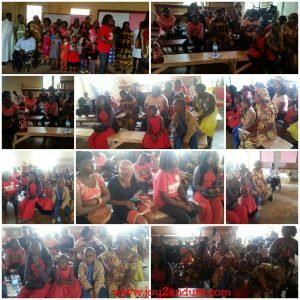 As has been the case in previous years, I collaborated with the Cameroon Sickle Cell Organisation (CAMISCO) and the Etoug’ebe Baptist Hospital, Yaounde was more than willing and ready to provide us with a hall and any other assistance yet again. Participants keenly following the presentations. The workshop was held on Saturday, June 23rd. It started with about 20 people present. Dr Michael Budzi, the young dynamic Dr in charge of the sickle cell clinic at the Etoug’ebe Baptist Hospital, opened the discourse after a brief welcome speech by Mrs Olivia Acha-Morfaw, prayer and self-introductions were made. 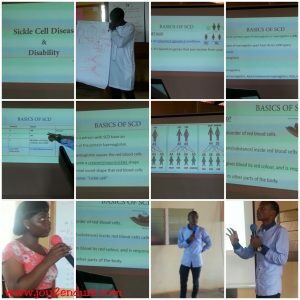 He gave us an overview of the ABCs of Sickle Cell and the different types. He however, capitalized on Sickle Cell Anaemia which is more prevalent in Cameroon before explaining complications related to sickle cell which may cause a disability. Some of these complications mentioned were stroke, blindness, deafness and paralysis. 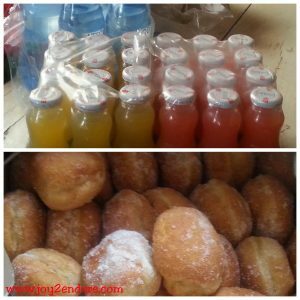 While the workshop was ongoing, water was distributed to all the warriors and their families present as a way to encourage hydration. Somewhere along the line, power failed us but he was not deterred as he continued explaining using cardboard chats that were spread along the hall with some pointers. After his discussion and the questions and answers that followed, yours truly took the podium and spoke about living with sickle cell and a disability, using my personal experience. It is still difficult to pinpoint when exactly I lost my hearing and what was the cause. However, I do know that I lost my hearing before completing primary school and the most likely cause would have been effects of one of the many drugs I have taken in this journey called life. I explained how I have been able to cope using lip reading, sign language and humour, support from family amongst others to press on with this disability and encouraged parents to never look down on their warrior children if … while hoping it doesn’t happen… but if it should that their warrior kid becomes disabled, they should love them still because as my experience shows, attitude is all that truly matters. A positive mind set sure makes living with sickle cell and a disability possible because we are just differently able. Questions and answers followed in which I had to talk about what kept me going including the times I actually found my hearing loss humorous and a life saver lol. Well, that’s just me. Yours truly, presentation and some group pics. Next, the representative of the Ministry of Social Affairs Mr Mbogo Etienne, spoke about the fact that SS is already considered a disability in national and international laws, laying emphasis on what warriors stand to benefit such as reduced or no fees in government institutions, provided they are registered with the social services of the various institutions and own disability cards and protection if they should face stigma and discrimination. I voiced out my concern that even with my disability card, I really never benefitted from such services especially while at school and I asked why didn’t they make it a kind of compulsory and integral law in schools and make it known so that others know and benefit from it instead of the long process of chasing files at the ministry to get said benefits? At the end, the importance of knowing our genotypes and making informed choices couldn’t be stressed enough especially as many present said they didn’t know their genotypes. Light refreshments were served and group pictures taken. The rains at the end provided a great opportunity for networking as parents and warriors alike shared encouraging stories of their individual journeys with sickle cell. Despite some setbacks in logistics and power failure, we were happy to register more than 35 people with about 12 warriors present. The French/ Sign language interpreters made it possible for everyone present to benefit. Feedbacks such as “I never knew this is what I have been missing, I have learnt a lot today to even help a warrior in future. Next time, let me know I will come again and even inform others” from someone who made a first appearance after repeatedly turning down invitations was heart-warming. A warrior had this to say “Thank you. A million thanks. 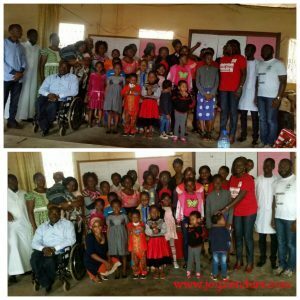 So many nice people and encouraging stories”… Another had this to say; “I think warriors and their parents should attend such workshops because it provides them with a lot of information on what their condition entails and what their kids may be going through and how best to assist them because being a sickle cell warrior is not the end of life”. We are grateful for the success of the workshop and for everyone who made its success possible. We pray we will keep getting better as we learn from what shortcomings we had and how to improve on them. As usual, it was a great end and highlight of my month long awareness activities carried out in June as a way to celebrate World Sickle Cell Day. 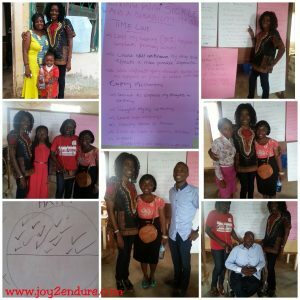 I am forever grateful for this opportunity to keep sharing knowledge and impacting to make life better for sickle cell warriors and their families by getting the community involved in the Break The Silence… Be A Sickle Cell Voice campaign. Love this? Tell us what you think by leaving a comment for us.